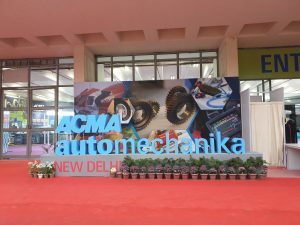 ACMA Automechanika New Delhi, which concluded on 17 February drew 515 exhibitors from 16 countries and 13,267 visitors from 42 countries – establishing its internationality once again. 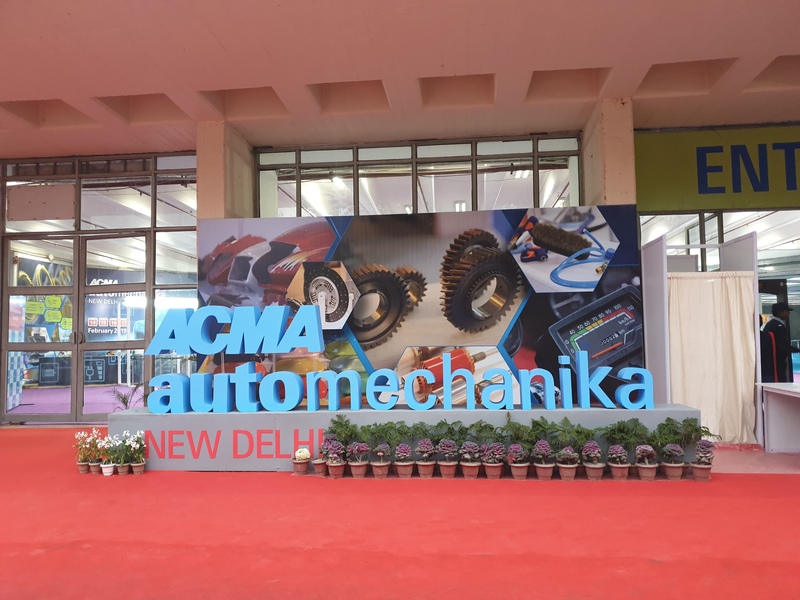 With the aim of shaping the future of vehicle repairs, ACMA Automechanika New Delhi brought new innovations under the segments of parts, components, repair and maintenance. Sharing stage spread across 20,033 sqms were market leaders AC Delco India, Bosch Ltd, Delphi Automotive Systems, Mansons International Pvt Ltd, Minda Distribution and Services Ltd (MDSL), ZF India. For the first time, the platform saw car digital solutions with companies like Air International – TTR Thermal System Pvt Ltd, SpareFit by CloudSteer Technology Pvt Ltd, Vision Embesoft Solution Intech DMLS Pvt Ltd, IP Softcom (India) Pvt Ltd showcasing developments in this arena. Overall, the innovations at the 4th edition steered the direction in which the Indian automotive industry will be moving in the coming months. ACMA Automechanika New Delhi 2019 was inaugurated by Leena Nandan, Additional Secretary, Ministry of Road Transport & Highways, the Government of India. 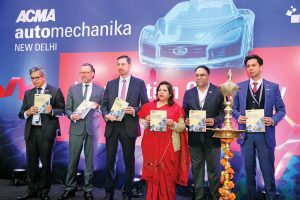 “I congratulate the organisers of ACMA Automechanika New Delhi 2019 for putting up an encouraging show targeting the Indian aftermarket industry. It is overwhelming to witness that the organisers have brought the message on safety with the ongoing exhibition. The Government is concerned on the number of road accidents and has initiated a three ‘E’ Safety Policy primarily including Engineering, Education and Enforcement. The government is also closely working with industry associations for introducing Standards for aftermarket parts to help address the counterfeit market leading to road fatalities and injuries,” she said. The Indian automotive aftermarket, estimated at Rs 70,000 crore in 2018-19 is projected to grow at a CAGR of 8.5% for the next few years and register Rs 98,000 crore by FY2023. The key growth drivers for the Indian aftermarket include the sizeable vehicle parc in the country which is growing; enhanced average life of vehicles with improvement in road infrastructure and enhanced sourcing of components by global auto giants. 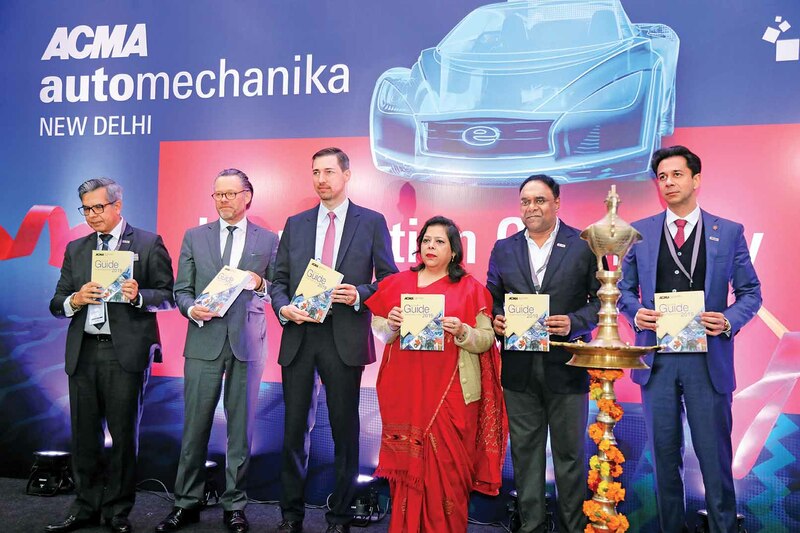 The event also saw the unveiling of ACMA’s Buyers Guide 2019, the much sought-after compendium with details of Indian auto component manufacturers. Augmented reality based training concept for car repairs by Bosch, Rivets & Riveting Systems introduced by Silkaans which replaces the traditional chisel and hammer method for repairs and a one-of-a-kind IONSTAR anti-static pistol for painting workshops or body shops that requires no power supply via cable, no batteries or battery packs by Herrmann-Lack-Technik GmbH were some of notable products and highlights of what’s next for the industry. 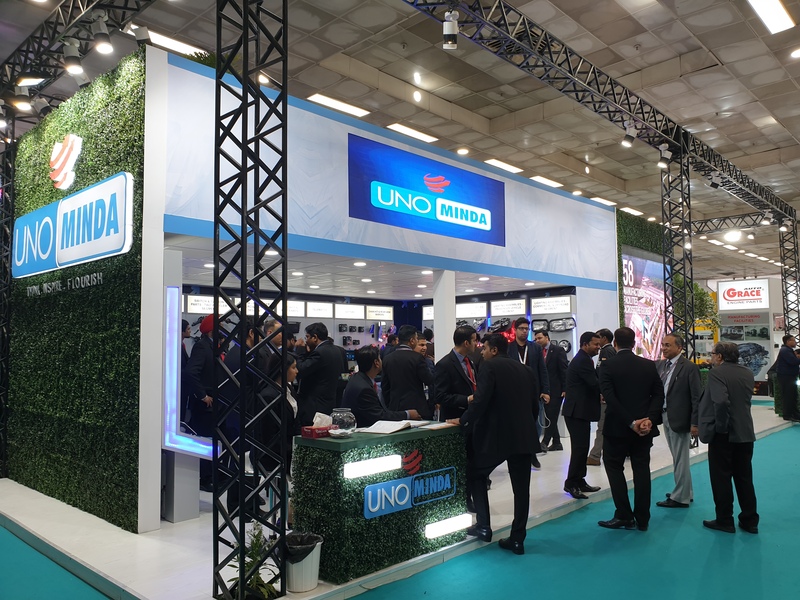 While 54% exhibitors were Indian, 46% of exhibitors at this year’s fair came from 15 different countries competing and aligning their product offerings to the domestic market demands. 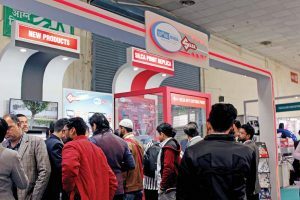 This year’s edition surpassed participation, business engagement and foot-fall, compared to the last one, signifying potential growth of aftermarket in the country. Further the significant traction in the ACMA Safer Drives Pavilion is reflective of the growing consciousness in common man towards usage of genuine components for preventing road accidents” stated Vinnie Mehta, Director General, ACMA. A Knowledge Forum lined up alongside the show on the second day on February 15 touched upon important and pertinent topics related to the industry. The session was themed “Indian auto component industry – Staying competitive with innovation and business transformation”. Siemens was the official ‘Knowledge Partner’ for the seminar. The one-day seminar highlighted the importance of digitalisation for smoother operations, insights from big data analytics and use of artificial intelligence. Some of the areas covered by the seminar were, Indian automotive aftermarket – fast tracking the growth, Indian auto component industry – staying competitive with innovation and business transformation and a panel discussion on the roadmap for Industry 4.0. A conference, along with International Purchasing Office (IPOs) Forum, on ‘Aftermarket Global Trends and Opportunities’ at Hotel Shangri-La, New Delhi, was hosted on the same day. The conference shed light on the sourcing strategies of global OEMs for aftermarket as also aftermarket opportunities in the US, Latin America, Europe and Africa. Automechanika around the globe is known for fostering genuine products for business with its initiative ‘Messe Frankfurt against Copying’. With the help of ACMA’s initiative called Safer Drives, the organisers together campaigned against counterfeiting in the industry and promoted the use of genuine products. 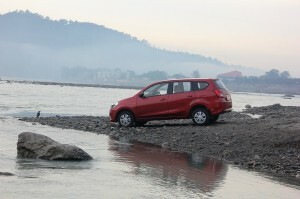 A conference by the All India Automobile Workshops Association (AIAWA) was also scheduled during the show. places the traditional chisel and hammer method for repairs; Newly launched technology for Common Rail Tester by Mato Industries; High-performance biking chains by Makino Rk Takasago that offers specialised lubrication and noise free operation; Augmented reality based training concept for car repairs by Bosch; and Heavy duty V-profile clamps for commercial and industrial vehicles by Oetiker India Pvt Ltd.
Bosch Ltd: The advent of stricter emission norms set to be implemented in April 2020 may pose a threat to the aftermarket component industry, specially unorganised players such as workshop or garage owners who deal with most services for vehicles after their lifecycle of free services or warranty expires. 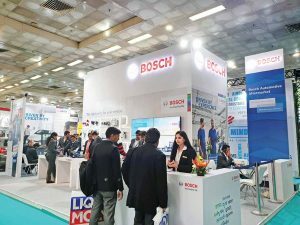 To cope up with the upcoming norms which would involve more electronic components and revised maps for ECUs in the vehicles of the future, Bosch Limited showcased their workshop concept, BCS (Bosch Car Service). A unique concept, it deals with modernising of the unorganised workshops using electronic equipment and augmented reality. In the BCS, the technology showcase included AC servicing machine, nitrogen tyre fillers, however, the centrestage was taken by the VCI (Vehicle Communication Interface) and handheld devices. The latter devices, according to the exhibitors, speak to the vehicle’s ECU in order to understand the problems in a vehicle, enabling a workshop mechanic to pin point the exact problem. This will also result in rectifying the problem without any errors, according to a BCS representative. BCS will also upskill the existing mechanics, irrespective of the organised or the unorganised market. As the current skills would not be able to cope with the electronics, BCS’ workshops would ensure optimum usage of its products. 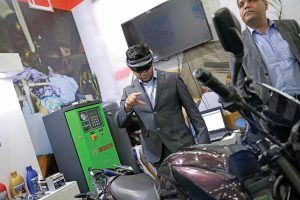 Augmented Reality (AR) would be a part of the workshops in the future wherein it would enable a mechanic to take a more informed and error-free decision on a problem with a vehicle. These vehicles will include all BS-VI emission norm compliant models which include four-wheelers, two-wheelers and commercial vehicles. ZF Aftermarket: The transformation of the automotive aftermarket is in full swing with alternative drive concepts, digitalization, connected cars, autonomous driving and changing customer expectations. These are just some of the huge challenges faced by market participants. With its innovative products and individual service concepts, ZF Aftermarket has established a successful position as both architect and pacemaker for tomorrow’s mobility, and a reliable and competent partner for customers. To ensure that vehicles move efficiently, safely, dynamically and reliably, ZF products are the first choice in driveline, chassis and safety systems for passenger cars, trucks, buses and motorcycles. With its guiding principle, “see. think. act.”, ZF has secured a strong global position by mastering the interaction of sensors, control units and vehicle motion control. The Aftermarket Division of the leading automotive supplier is fully involved in developing tomorrow’s mobility and from this derives the appropriate agenda for the future of the aftermarket. 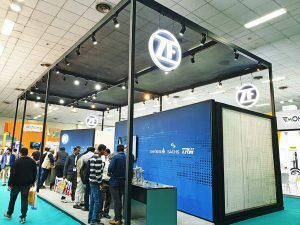 With tailor-made solutions for the after-sales market and with its established product brands ZF, Lemförder, Sachs and TRW, ZF Aftermarket is well-positioned. At ACMA Automechanika, New Delhi, a particular product highlight was the fleet management tool ZF Car Connect, and the Sachs CDC shock absorbers for high-end European passenger cars which was introduced in India for the first time. Pacoline Industries: The Pune based component manufacturer, Pacoline Industries, which supplies Tier I safety products to OEMs is now gearing up in the aftermarket sector as well. 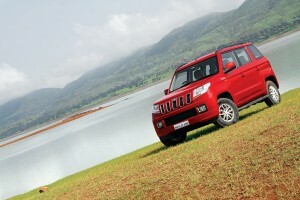 At the display, innovative mirror assemblies and side repeater lamps for CVs were showcased. 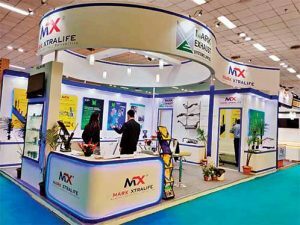 With a stake of over 80 per cent with OEMs, the company’s focus is to triple their aftermarket share in the next four years from 10 per cent in the domestic market to 30 per cent and from five per cent in exports to 15 per cent. The aim of the company has been to de-risk itsef from the cyclic nature of the OEM space and in order to do that, Pacoline has been rigorously working towards increasing its products in the aftermarket space. “Over the past three years, we have focussed to look beyond OEMs to have a suitable balance in our business by expanding to other segments including aftermarket and export,” Muzammil Shaikh, Director, Pacoline Industries, said. This move will also introduce a wider portfolio in the aftermarket sector making it more profitable for the company as well as introduce quality products in this sector. 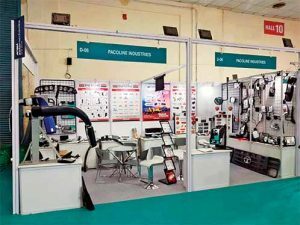 ARB Bearings: The Delhi-based ARB Bearings displayed its extensive portfolio of products at the ACMA Automechanika. Catering to the aftermarket, OEs, direct consumers and exporting to 22 countries, ARB Bearings has four manufacturing facilities and is producing more than 1,500 sizes of bearings in India. The company is primarily manufacturing bearings, industrial grease, clutch and universal joint cross. For a longer bearing life, the company displayed their newly-launched Red Gel Grease which protects the bearing against the rust and enhanced resistance to water wash-out. 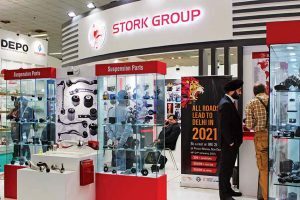 Stork Rubber Products: Focussing to expand its aftermarket business, Gurugram-based Stork Rubber Products displayed control arms, control arm bushes for premium cars, anti-vibration parts, air-springs, leaf spring bushes, mounts, exhaust parts and mechanical control cables. “This year, our focus is to demonstrate our capabilities. We’ve displayed a very comprehensive range. This year, we have changed the theme and we wanted to show the market what we do and the entire idea of our display is to make it interactive.” said Arjun Rangar, Executive Director -Business Development, Stork Rubber Products. 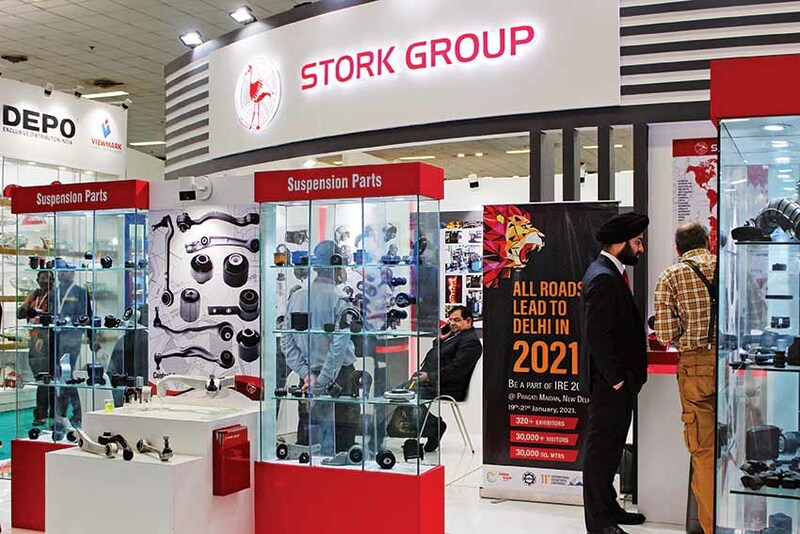 Catering to passenger cars, two-wheelers, commercial vehicle, and the farm segment, Stork Group has four manufacturing units in Gurugram and Manesar, Haryana. Mark Exhaust Systems Limited: One of the key suppliers of exhaust components to major OEMs such as Maruti Suzuki India Limited, Honda Scooters and Motorcycles India Limited and Suzuki Motorcycles, Mark Exhaust Systems Limited made its presence with Mark Xtralife, a two-year old aftermarket division of the parent company. The Mark Xtralife brand has a portfolio in suspension components such as ITR, OTR, SBJ, controller arms, boot lifters and stabiliser joints. 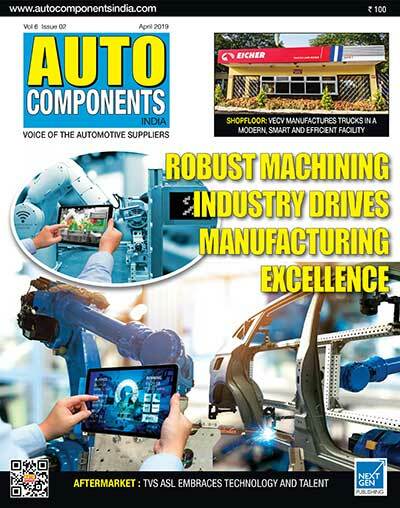 At the ACMA Automechanika 2019, Mark Xtralife was focussed on gaining a sizeable market share in the aftermarket component industry. Looking beyond suspension parts, Mark Xtralife is also entereing into aftermarket water pumps for petrol and diesel engines. Between one and 1.25 litre engine capacities for both engine options, the water pumps will be available in the high-volume, mass-market segment, Brij Malhotra, Senior Vice President, Mark Exhaust Systems Limited, said. The acquisition of the UK-based Quinton Hazell has enabled Mark Xtralife to make this move. The company is already supplying its oil pumps to Maruti Suzuki with current production capacity of one lakh units annually. 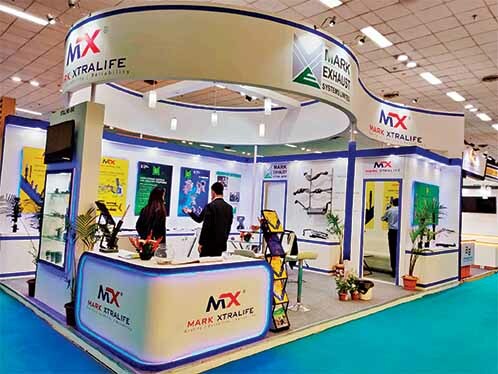 Mark Xtralife is also planning to increase the production of this oil pump provisioned in the K12 petrol engine by four times by 2020 spending Rs 20 crore. Valeo India: The company displayed its import range focussing on potential customers visiting from neighbouring countries at ACMA Automechanika 2019. The company deals in powertrains, thermal management, vision systems, comfort and driving assistance systems. It supplies from the comprehensive portfolio to players in the Make In India programme ranging from entry-level products to premium vehicles. This is the second time that Veleo Service is participating at ACMA Automechanika. The last time when Valeo participated, it received a very good response. This year the focus of the company has been in the aftermarket sector and is expected to grow with its R&D staff project to increase to 5,000 engineers by 2023. 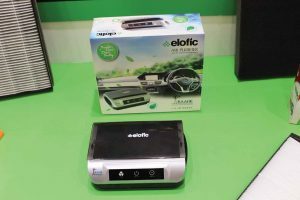 Elofic Industries: “The one product that we are showcasing and has taken centre-stage is our Elofic Raahe car air purifier. This is our latest product which was introduced last year and has gone through 2 seasons. It has been receiving good response and Elofic’s core business is filtration. This air purifier had to be a natural extension of our product portfolio. This is a patented product which gets installed on the dashboard of a car and one sees a very drastic reduction in the PM 2.5 levels,” asserted, KD Sahni, Vice Chairman and Joint Managing Director, Elofic Industries, said. “Filtration is our core business and we want to be in every field where filtration is required,” M B Sahni, Chairman and Managing Director, Elofic Industries, said. Being the pioneers in the filtration industry and catering to automotive, agriculture, earth moving, industrial, heating, petrochemical sectors. The company is planning for new investments including expansion of their manufacturing capacity and R&D. Currently, Elofic has 6 manufacturing plants located in Faridabad, Hosur and Nalagarh. 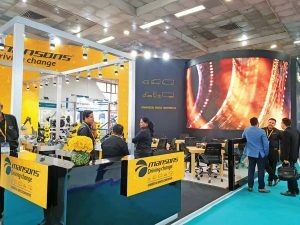 The company is also looking at a further penetration in the commercial vehicle segment apart from its large presence in the passenger vehicle and the two-wheeler segments. Trends that would be witnessed is higher grade of filtration with the introduction of BS-VI emission norms however, according to the company, there would be no negative impact for them. The filtration sector will continue to witness growth due to its high consumption as well as requirement. In order to de-risk itself from the cyclic nature of the OEM sector, Elofic Industries is also looking at diversification into multiple segments and is keen to maintain its 30% OEM, 30% export and 40% aftermarket stakes in this segment. 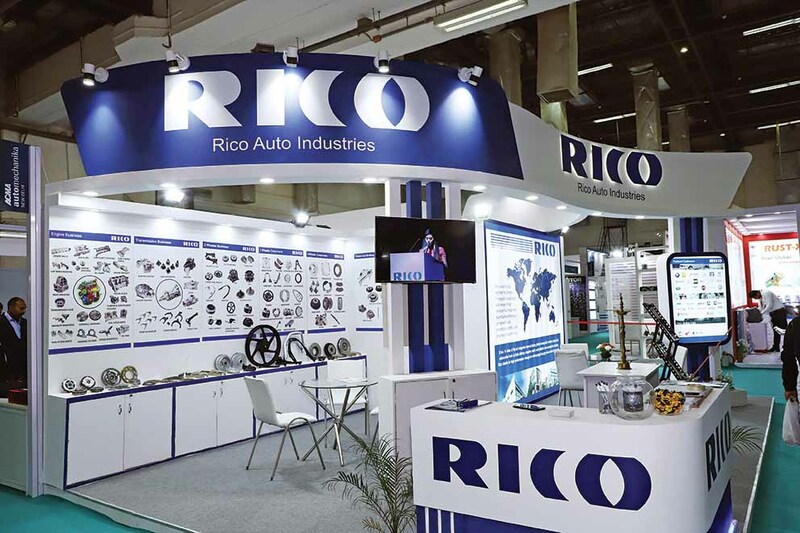 Rico Auto: Auto component manufacturer Rico Auto displayed clutch assemblies, break shoe and oil springs at ACMA Automechanika. At the launch, Abhishek Kulshrestha, Vice President, Corporate Materials and Aftermarket Business, Rico Auto, said, “Clutch Assembly is our USP. Other companies are not producing high-quality assemblies which we make because we are the masters in the assemblies and we have invested a lot of quality parameters for this. For the aftermarket exclusively, we have purchased approximately Rs 5 crores of testing equipment for assemblies.” After having supplied in the Indian market since 35 years, Rico Auto has forayed into the aftermarket business in August 2017. On the response from the aftermarket, “This is the first year actually of our business in aftermarket. Having initiated around 14-15 products now we have more than 500 products that too with the 62 distributors. Plus, we have the system to establish distributors in India, Sri Lanka, Nepal and Bangladesh and we are expecting revenue of Rs 25-30 crore in the first year itself. I always feel very happy and blessed that Rico has been treated as a premium brand.” Going forward, Rico Auto projects revenue of over Rs 100 crore by 2020. Mansons International: Headquartered in Mumbai, Mansion International is a leading global manufacturer and supplier of components for OEM, Tier-1 and independent aftermarket. At ACMA Automechanika, Mansons focused on components for NVH, Driveline and Cabin categories. Gautam Khanduja, Director, Mansons International, said, “ACMA Automechanika New Delhi allows us to meet most of our customers and discuss new product developments and showcase our plans for the coming year. We can communicate with our entire customer network with focused meetings which are fruitful for both parties here.” The company manufactures and supplies components predominantly for the Commercial Vehicle segment apart for supplies for the Bus and Van segment. Operating for 62 years, the company caters to both domestic market and exports to more than 63 countries. The company has 7 manufacturing locations which are certified under the ISO:TS16949 standards. The product range includes more than 8000 parts for Indian, Japanese, European and American Truck and Trailer market. Minda Silca: At this year’s ACMA Automechanika New Delhi, part of Spark Minda and Ashok Minda group, Minda Silca introduced a shop-in-shop concept. 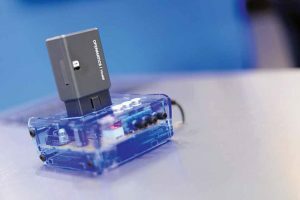 Under this method, making duplicate keys or locksmithing work, which is currently extremely unorganised would be offered proper skill sets and training to enhance their method of working, according to a company official. The overall benefit to a person who is being trained will be a better value addition of skills to them. In addition the company also introduced two new machines which automatically duplicate a key on one station while the other station if for fine side cutting of the key. Minda Silca also introduced their four-wheeler, three-wheeler, two-wheeler and commercial vehicle locks. In order to increase their brand recognition and brand visibility, the company is working towards better marketing strategies and new mergers. Apart from showcasing their products in which are mainly supplied to OEMs, the company also has a sizeable share in the aftermarket sector. Marathwada Auto Compo Pvt Ltd: In partnership with the Automotive Research Association of India (ARAI), Marathwada Auto Compo Pvt Ltd. (MAC) has developed Electronic Power-Assisted Steering (EPAS) for A-segment cars and small commercial vehicles in India. This marks as the first product for the passenger cars segment as the company is into manufacturing front suspension for two-and three-wheelers. The product is expected to launch in India by early 2020 in the aftermarket itself. Currently, EPAS is being manufactured by foreign players like ZF Friedrichshafen (Germany), Nexteer Automotive (U.S), NSK Ltd. (Japan), TRW Automotive (U.S), and JTEKT Corp (Japan) and now MAC (India). Highway Industries: A Hero Motorcorp group company, the Ludiana-based Highway Industries is all set to target the Indian and global automotive aftermarket with its forged and machine parts. 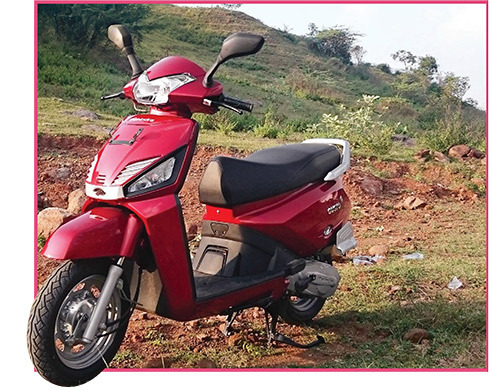 Presently, the company manufactures for the OEMs of two-wheeler, passenger car, commercial vehicle and farm equipment segments. Producing from three plants in Ludhiana, Highway Industries has monthly production of over 3,000 tonnes of forging. The company aims to cross Rs 1000 crore revenue by 2021. The company is planning to foray into Electric Vehicles’ components. The company makes steering, precision forging, transmission, and suspension parts for two- wheelers, PVs, CVs, white goods, farm equipments and primarily catering to Hero Motor Corp, GKN, Magna and Bosch. Ample Auto Tech: A manufacturer and exporter of steering and suspension parts Ample Auto Tech launched a control arm range along with our new-generation vehicle range for the Indian market. Within 10 years of our inception, we established ourselves as a brand that prides in excellence in quality. With a range of over 4000 products we cater to over 30 countries with steering and suspension parts that are adaptable to numerous models of buses, cars, trucks, tractors & SUVs. We have progressed to become a prominent supplier of automotive parts for European, Japanese, Korean, Indian & American applications. 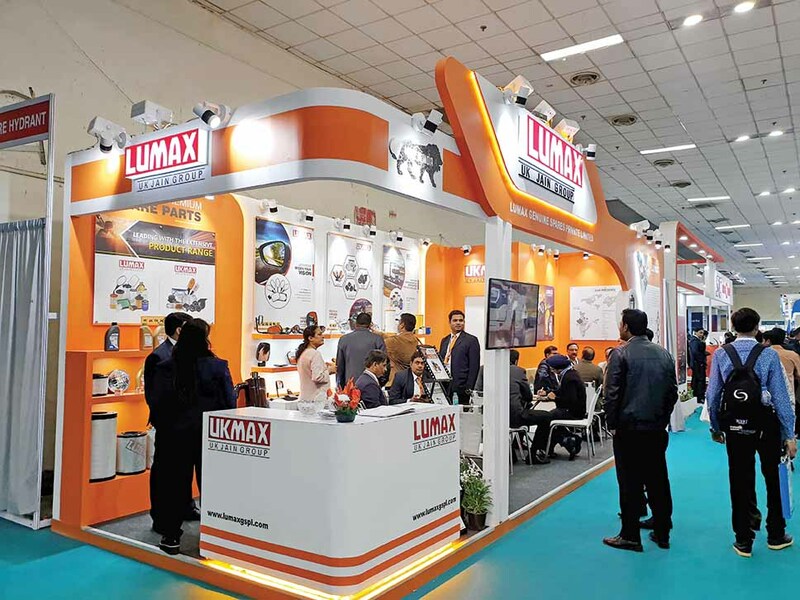 Lumax India: Expanding its footprint in the aftermarket sector, UK Jain Group, Lumax India introduced a new range of lubricants for the two-wheeler market dedicated to be sold only in the aftermarket. The company will sell these new lubricants through its 200 distributors and 12,000 retailers in the country. Remaining as a majority stakeholder in automotive filters, the new entry of lubricants would cater to entry and mid size two-wheelers. The engine oils in Lumax’s portfolio are offered in mineral and synthetic formats complying with API/SN and JASO MA2 standards. The lubricants will be sourced from the company’s vendor in Mumbai who will also take care of bottling the products. “The two-wheeler maintenance segment forms a huge chunk of the Indian aftermarket and hence, we would only be relying on organic growth over the next six months before going ahead and striking any marketing strategies for this new product line,” Ashok Shukla, Business Head, Automotive Care Products, Lumax India, said. ACDelco India: One of the most popular component trader in the Indian automotive component industry, ACDelco India, showcased its existing line of products. The centre-stage for the company was taken by its tropical, glycol-based coolant apart from its popular product range. As one of the pioneers in trading, a company official said that none of the goods anywhere are manufactured by them. That stated, there are specific programmes which ACDelco deals with in order to train suppliers. The new range of coolant has been upgraded from erstwhile specifications.